Tilling your soil is an essential recurring garden chore. Depending on your type of garden, it might be a good idea to have one of your own. We review 5 of the best garden tillers, 2 electric and 3 gas powered models. 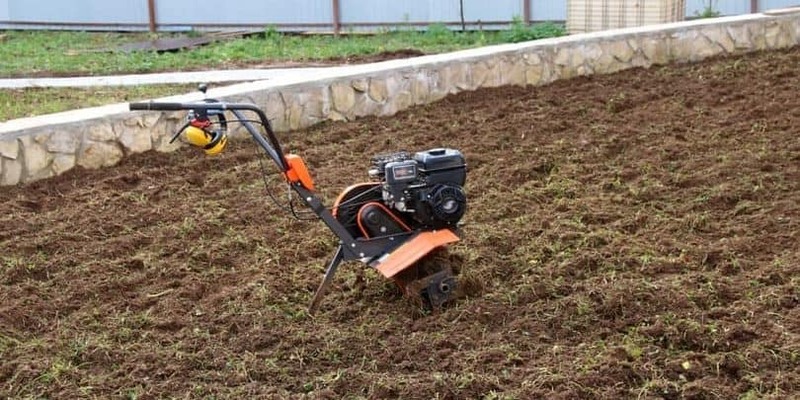 If you have a small garden, this rototiller is going to suit you very well. It’s powerful for its size and make. The strong tines won’t have trouble turning over your soil and it is very easy to use. The Sun Joe might be the best tiller for small gardens. It is built to last and comes with a convenient two-year warranty to boost consumer confidence. It’s a great buy for a small garden. This garden tiller is very easy to use because of its light nature and you won’t have trouble getting it set up. It’s fairly powerful so it should work for most types of soil as well. This is a good gas-powered model to use. When you’re looking for an easy-to-handle garden tiller that can still do the job well, this is a great option. It feels durable despite being so lightweight. The tiller handles well and feels comfortable to hold too. Getting this rear tine rototiller is a great idea if you need to till a large space. It is powerful and reliable. Keep in mind that it can be tough to handle. It is a great purchase if your looking for the best rear tine tiller. Gardening is one of the most satisfying hobbies that you can get involved in. The process of preparing your grounds and watching your plants grow is something that will give you a sense of pride. It can be time-consuming work, depending on what your goals for the garden are, but seeing the end results will be worth it. If you’ve recently started a home garden, then there are a lot of things that you should consider buying. One incredibly useful tool that you will want to have at your disposal is a garden tiller. Being able to quickly and conveniently till your garden is a real boon to your overall gardening efforts. It simplifies the process and makes sure that everything is ready for you to plant your seeds. Having your garden tilled properly is essential when you want to have the best odds of success. Not all rototillers are created equal. Some tillers will be really great at doing the job you need in a timely fashion. Others might be a bit laborious to use. It’s in your best interest to find the best garden tiller that will fit your needs properly so that you can maintain your garden exactly how you want to. 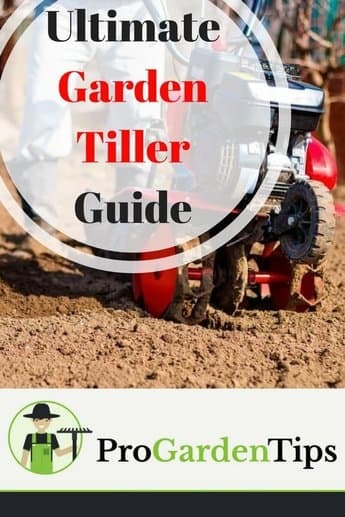 Take a look at this ultimate best garden tiller buying guide to have all of your questions about the ins and outs of these tools answered succinctly. Just below is our selection of 5 popular garden tillers. We review these 5 models more thoroughly later on in this article. Scroll down the page or click on garden tiller reviews in the table of contents to get there immediately. The act of tilling, or turning the soil over, makes it loosen up and brings out many of the rich nutrients present inside of it. A garden tiller is a tool that turns over the soil in your garden. You need to turn the soil over to give whatever you’re going to plant the best environment in which it can grow. The act of turning the soil over makes it loosen up and brings out many of the rich nutrients present inside of it. Essentially, it creates the best scenario in which you can plant your seeds and have successful outcomes. That is the basic answer for what a garden tiller is at its core and how it functions. When it comes to the tillers themselves, there are various differences that you should examine when looking to make a purchase. Tillers vary in sometimes large ways and other times subtle ways. If you understand what you need as well as what the different tillers can offer you, you’ll be able to make an informed decision. One of the most apparent differences between tiller models is whether it is a gas tiller or an electric tiller. Of course, these will appeal to different people for based on their gardening needs. Electric tillers are very popularly used in small gardens. It needs to be plugged into a power source, so you’ll need to use a long extension cord to get the most out of this model of garden tiller. Using a power cord isn’t a difficult thing when you’re tilling a small home garden. The location of your garden isn’t likely too far away from the nearest power outlet in these situations so it doesn’t create much of an inconvenience. If you have a very large property, then it is possible that this solution won’t work well for you. In this case, it’s smart to go with a gas-powered model. 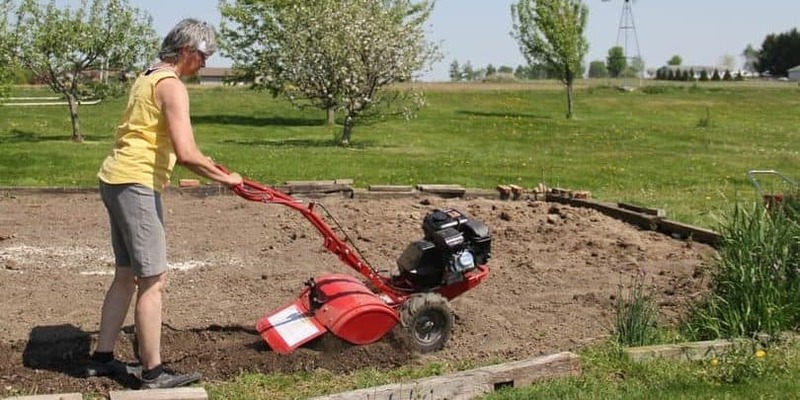 Gas-powered garden tillers are perfect for people who need to be able to take their tillers out on a large property without being tethered to a cord. The only downside of this situation is that the amount of gas you can fit in the tank is finite. Running out of gas when you’re in the middle of tilling can be a bit annoying but as long as you have taken precautions and have a stock of gas around, it won’t be anything but a minor setback. In general, gas tillers are more powerful than their electric cousins as well. This is another reason why they’re good for larger gardens and properties. If you have a large swath of ground that needs to be tilled, a gas-powered model will help you to get through that quickly. One further distinction you need to consider is front-tine tillers versus rear-tine tillers. Rear-tine tillers are the more powerful of the two styles. They dig deeper into the soil and are perfect for breaking through the tougher ground for that reason. Front-tine tillers are easier to use and are better for dirt that is already loose. As usual, your decision on which model you should choose will come down to your needs and personal preference. Take note of all of the characteristics of each type of garden tiller. This will allow you to make an informed decision and buy the perfect tiller for your garden. Tilling creates the proper environment for plant growth by turning the soil into what it needs to be. Tilling your garden is very important if you want to grow healthy plants, vegetables, or fruits. When you till your garden at least twice a year, it gives the ground a better chance at being fertile for everything you’re planting. Understanding why it does this will reinforce how much you need to buy the proper tiller for your garden. When you till the garden, it aids in the aeration of the soil. What this means is that it allows the soil to breathe, essentially. Trapped dirt will become dry over time and this sort of soil will actually deter plant growth. Tilling will add the air back into the soil, enriching it in the process. Soil that has been aerated properly will have easier access to essential elements such as water and oxygen. These things will be able to get to the roots of the plants you’ve put in more easily as well. If you want to have plants grow strong and healthy in your garden, then they need to be able to have a good environment where that can happen. Tilling creates the proper environment for plant growth by turning the soil into what it needs to be. Another benefit of tilling is weed prevention. Sometimes pulling weeds isn’t enough. Tilling your soil a couple of times a year will help to eliminate weeds by destroying them at their roots. The process of doing this is enough to prevent some insect problems as well as the tilling process may eradicate some nesting grounds for certain bugs. Understanding what the most common types of garden tillers are can help you in choosing the right model. For a normal residence, the most commonly used garden tiller would be a front-tine electric-powered model. Many people use these to till their home gardens once or twice every year. This isn’t the best garden tiller out there but it will work well for the purpose of tilling a small garden. When you only have a modest amount of soil to till and your property is small, it’s sensible to prefer the convenience of the electric model. You won’t have problems such as running out of gas and it will be good enough to get the job done that you need. Front-tine models are also a bit easier to use than the rear-tine ones. If you just have a small garden area that needs tilling and the soil isn’t particularly hard, you should be perfectly fine with this most common option. There are some circumstances where you should pick a different model, such as if your property has very hard soil. It’s just up to you to make a smart decision. Large properties commonly tend to go with gas-powered garden tillers. People with more property won’t have as easy of a time being tethered to a power cord so it just isn’t as practical for them to use the electric models. Interestingly, people on large properties are a bit split on whether they prefer front-tine or rear tine garden tillers. Their choices in this matter often depend on the circumstances of their particular grounds. People who keep smaller gardens and don’t have hard soil issues do seem to prefer the front tine. It’s a bit easier to manage and it works well so long as you don’t need the tiller to dig quite deep into the soil. A gas-powered front-tine model will take care of most people’s gardens without any real problems. If you live on a property that has tough soil such as hard clay or other issues to deal with, you might need something more heavy-duty. In this case, it’s highly recommended to consider the rear-tine garden tillers. They’re very capable of digging as deep into the soil as you need to get the job done. Even the toughest soil can be tilled using these powerful tools. As you can see, what is common in the world of garden tillers often depends on the circumstances you’re facing. Rural areas prefer gas-powered models and urban areas seem to go for electric models more consistently. There is some variance but the most important thing to take away from this is that it comes down to what you need specifically. You don’t want to buy a garden tiller that is too cumbersome for you to handle. 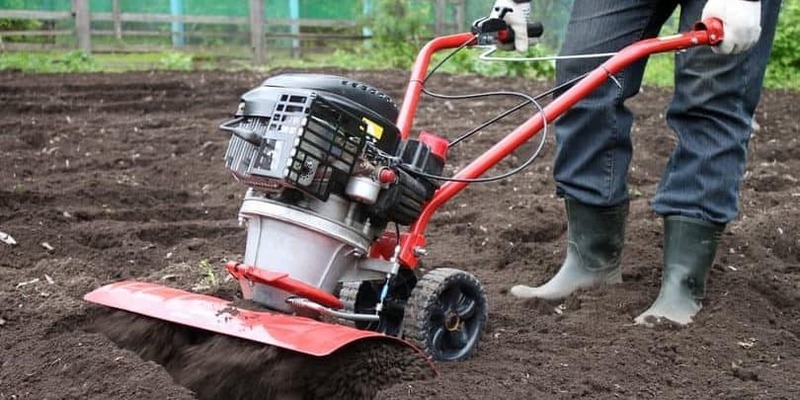 Now that you have all of the information about what garden tillers do, the differences between the types of tillers, and what people commonly use, you should be ready to choose for yourself. At the end of the day, the choice is really up to you. Making the best use of the advice in this buying guide that you can is recommended. All of the information is more than enough to give you a good idea of what would work best for your situation. When you’re looking at specific models, it’s a good idea to go with a trusted brand that has been well regarded in the world of garden tilling for many years. Ideally, you want to get many years of use out of the garden tiller you purchase. Buying a tool that you know will stand the test of time while providing you with the best utility is sensible. Looking into the reputation of the brand you’re choosing is a smart idea. Make sure that the model you’re choosing is comfortable to use. You don’t want to buy a garden tiller that is too cumbersome for you to handle. It’s a good idea to make sure that it fits your needs as well as your gardening abilities. For instance, buying a rear-tine model can sound appealing but if you don’t have the strength to use it properly, it might give you problems. For those who are looking at gas-powered models, get a good idea of how much fuel the tank holds. This will allow you to decide if it is going to be the most convenient model for your property. If you’re able to buy a large enough tiller so that you only have to refuel once while tilling your garden, that would be very good. Of course, if your property isn’t too large, you may be able to get by without refueling at all. Electric-powered models can be very convenient for small properties. Even still, you should try to make sure that they are powerful enough to handle the task. Consider what type of soil you have before buying one. 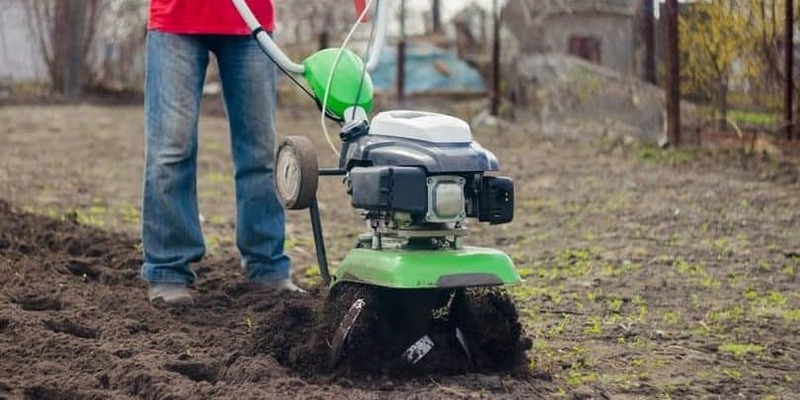 You can also do some mild research into the specific electric garden tiller you’re looking at purchasing to ensure that it has the power needed to handle your soil. The Earthwise TC70001 is actually a powerful garden tiller that is perfect for use in your home garden. If you have a normal residential property with a garden close to your house, this is a great option for tilling. It’s powerful enough to till your garden effectively but is still relatively easy to use. Preparing your garden is simple when the tiller pushes and turns over the soil with ease. Overall, the tines on this model are very powerful and will do the job for you. Getting your garden ready for planting will be an easy task using this tiller. It’s simply important to make sure that it suits your needs before deciding to buy. This is a highly recommended garden tiller that works perfectly for small residential properties. Choosing the Earthquake MC43 makes sense when you have a very small garden. It’s lightweight and very easy to use. For basic garden tilling purposes, this will be a great tool for getting ready to plant your seeds. The overall lightness of the model is a benefit for gardeners who are smaller and want something that will be easy to handle. If you’ve never used a garden tiller before, this is an easy recommendation so long as your garden isn’t incredibly large. 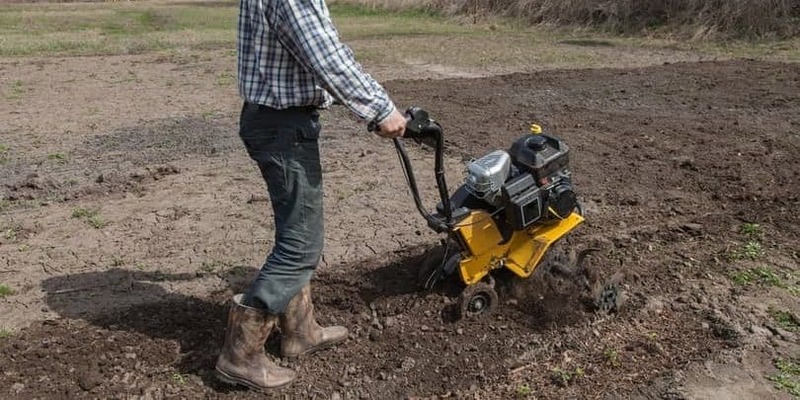 As this is a gas-powered model, you won’t have to worry about being tethered to a cord during your tilling. This is good if your garden is a little further away from your house. The tank is modestly sized but you should be able to get through tilling a small garden without having to refill it. This is a good product that will work for small gardens. When looking at the Sun Joe TJ603E, it’s easy to tell that it is built very well. This model feels very sturdy to use and should stand up to regular use over the years. Buyers can also feel confident about their purchase decision because the manufacturer backs up their product with a two-year warranty. A quality tool such as this should last you a very long time. This model is impressive for its size and will work great to take care of a small garden. It’s a front-tine model, so it’s more well suited to smaller residential gardens than larger farming work. If you have a home garden that needs to be tended to, this should be a good fit for your purposes. It’s a quality product that will help you ensure that you have rich soil for years to come. In our opinion this is the best tiller for small garden. If you’re in need of a garden tiller that is easy to handle and will do its job reliably, then it’s easy to recommend the Mantis 7940. It has a very powerful motor for a garden tiller of its weight and size. This allows it to do a great job without being too unwieldy. Being able to comfortably till your garden is important and this model can provide that for you. Not having to worry about a fuel mix is another good feature that makes it a recommended purchase. It feels comfortable to hold and you won’t have any issues getting through your garden tilling using this tool. Surprisingly, it feels very durable as well. It should stand the test of time and work well for you into the future. Buying a garden tiller that you can rely on for a long time is always the best option. When you’re in serious need of a powerful tool to till your garden, turning to the Southland SRTT196E is a great option. This is an incredibly powerful rear tine rototiller that can work its way through even the toughest soil. It has a strong engine and it can dig deep into the ground to make your job easy. This may be the best rear tine tiller, but it will take a bit of a strong hand to use it. If you have a large property with a lot of soil that you need to till, this is a perfect tiller for you to purchase. You can get it wherever you need it to go, although it is quite cumbersome to handle. This is a serious tool for a big job and it will perform well for you. This would be unnecessarily powerful in a small residential garden but is perfect for large rural gardens. No matter what garden tiller you choose, you should be able to get the perfect option for your needs. Tilling your garden is so important when you want to give your plants a good environment to grow in. When you have the right tools to handle the task, you’ll be able to keep your soil very enriched and ready to grow the best plants possible. The success of your garden hinges on maintaining quality soil so it’s imperative that you buy the best garden tiller for your purpose today. This buying guide should have given you all of the most pertinent information about rototillers. You’ll understand the particulars behind what each of the different models does. 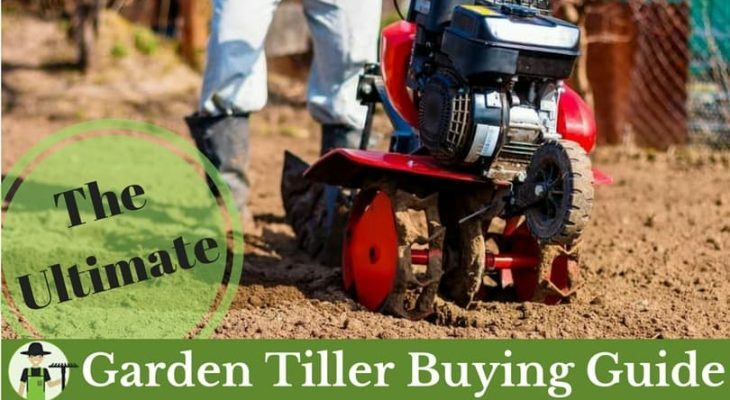 Knowing which types of tillers work the best for certain situations allows you to pick out the best garden tiller for your property. Make a good decision and then get started on preparing your garden for success.